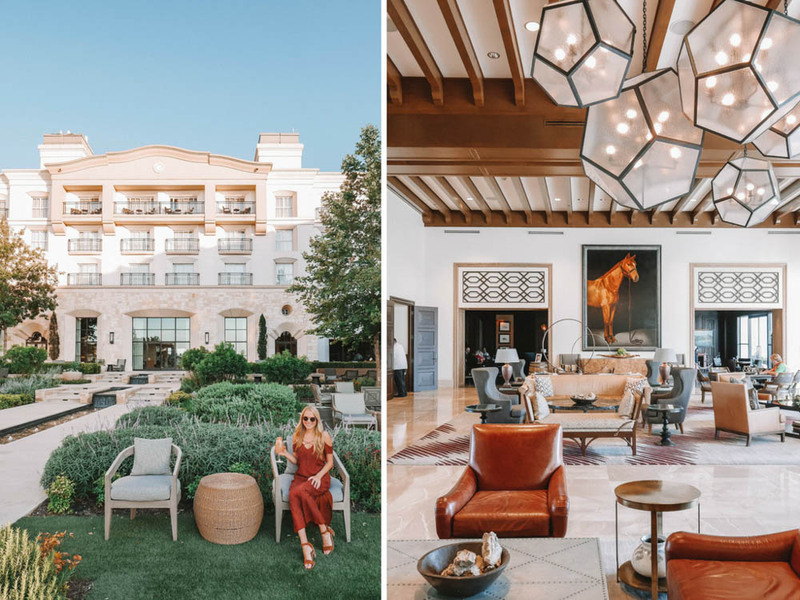 I have officially found the perfect Hill Country getaway at La Cantera Resort. The AAA® Four Diamond resort is located amongst the rolling hills of San Antonio in Texas Hill Country. 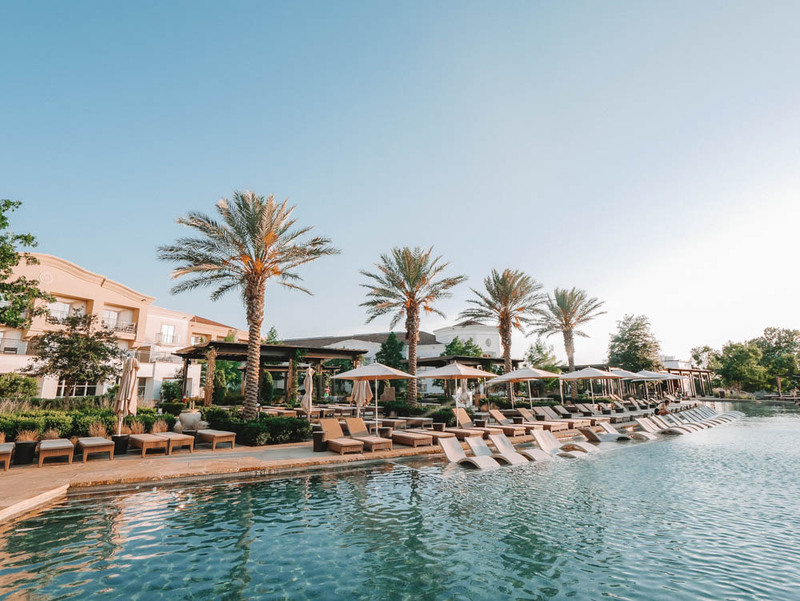 It’s 550 acres features two 18 Hole Championship Golf Courses, nine bars & restaurants, 496 guest rooms & suites, four pools, numerous activities, and an award winning spa. 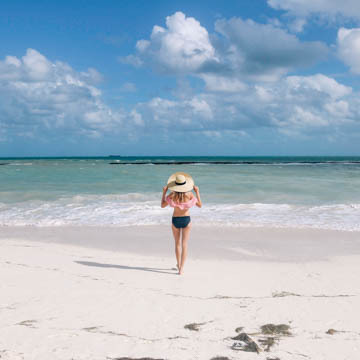 For those who want to venture off property, complimentary shuttles run frequently to a number of dining and shopping venues as well as activities nearby. These include the Shops at La Cantera, The Rim, Fiesta Texas, Top Golf, and iFly. The famous San Antonio Riverwalk and Mission are only a quick 20 minute drive away as well. 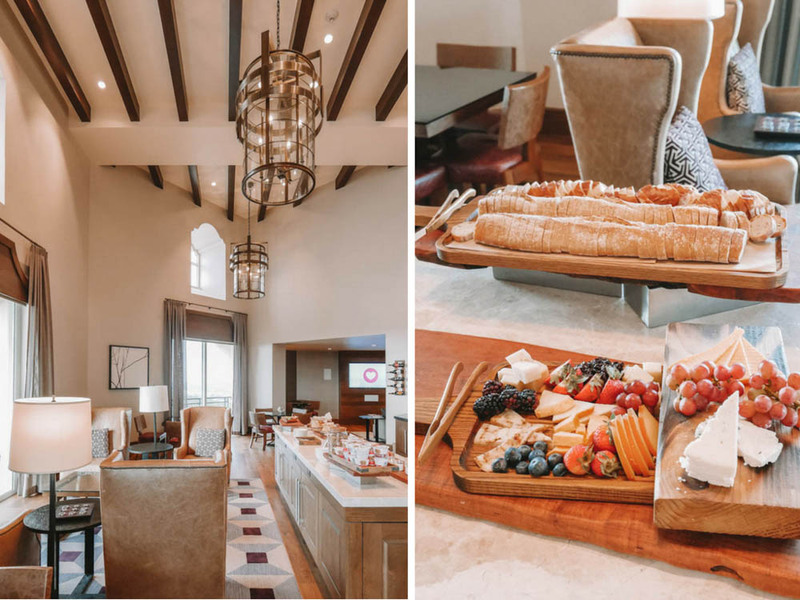 BOOK YOUR NEXT STAY AT LA CANTERA RESORT & SPA AND RECEIVE DAILY BREAKFAST FOR TWO, $100 RESORT CREDIT, WIFI, AND AN UPGRADE BASED UPON AVAILABILITY! 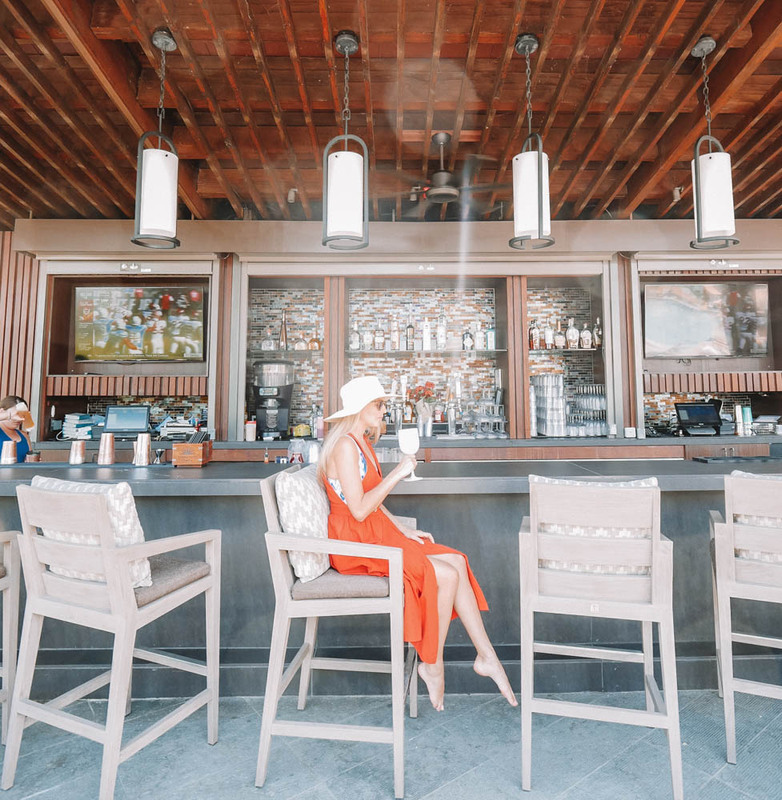 THIS SUMMER hotel guests and non-hotel guests can enjoy an evening of live music, bites & cocktails at Evenings on the Edge at Topaz. 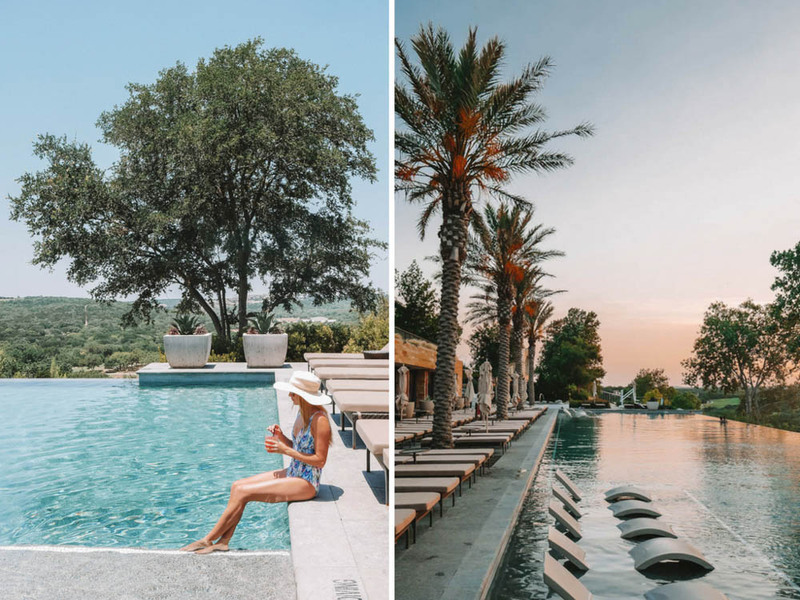 This pool party series is in partnership with Moët Chandon and San Antonio Magazine, and happens each Thursday night through August 9th. Additionally, La Cantera is offering a special room rate for those attending! 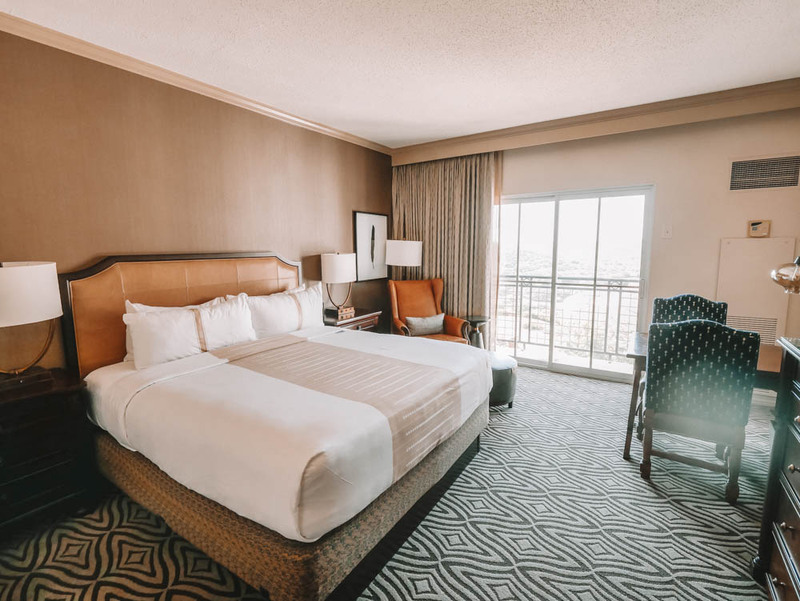 La Cantera underwent a massive full renovation and re-opening in 2015, which means news rooms all around! Additionally, they have an even newer adults-only concept which we were lucky enough to experience. I stayed on SEVEN, which is actually the only adults-only floor in all of Texas! 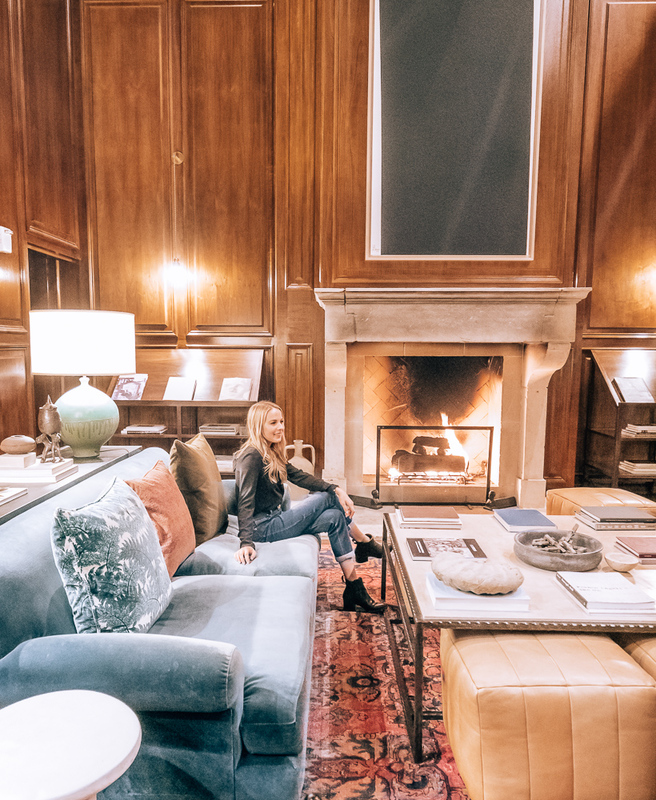 It includes complimentary valet, private check-in (complete with a glass of bubbly!) 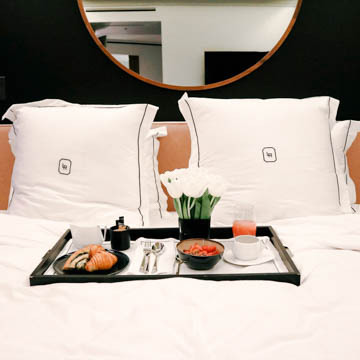 and concierge, daily snacks, breakfast, and an evening happy hour. 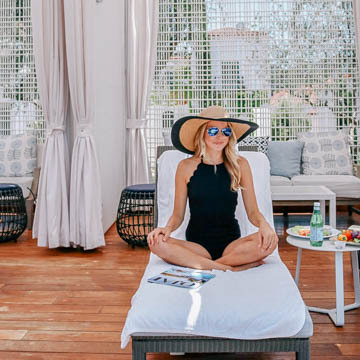 It also includes complimentary access to the Loma de Vida Spa, which if you read on you will see you will want NEED access to this spa. It’s pretty incredible. 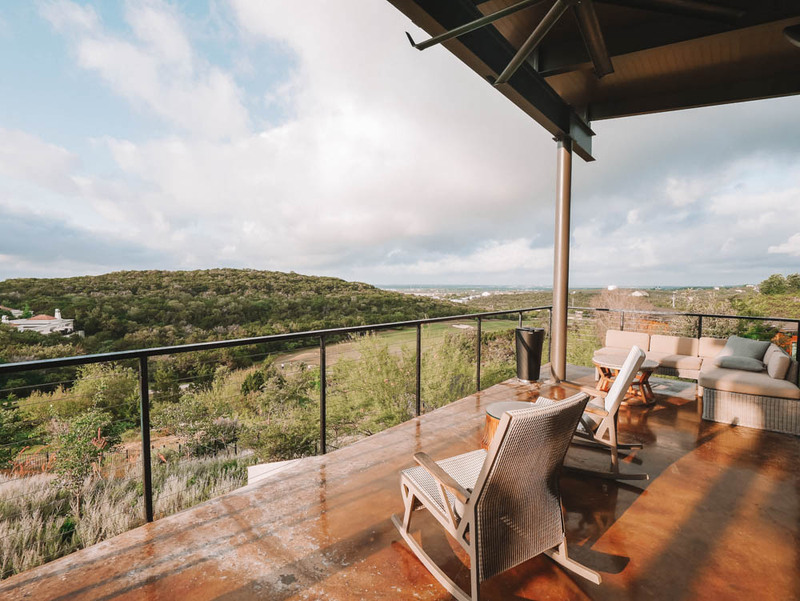 The room itself was extremely comfortable with great amenities such as a Nespresso machine, Amazon Echo, and stunning Hill Country views. 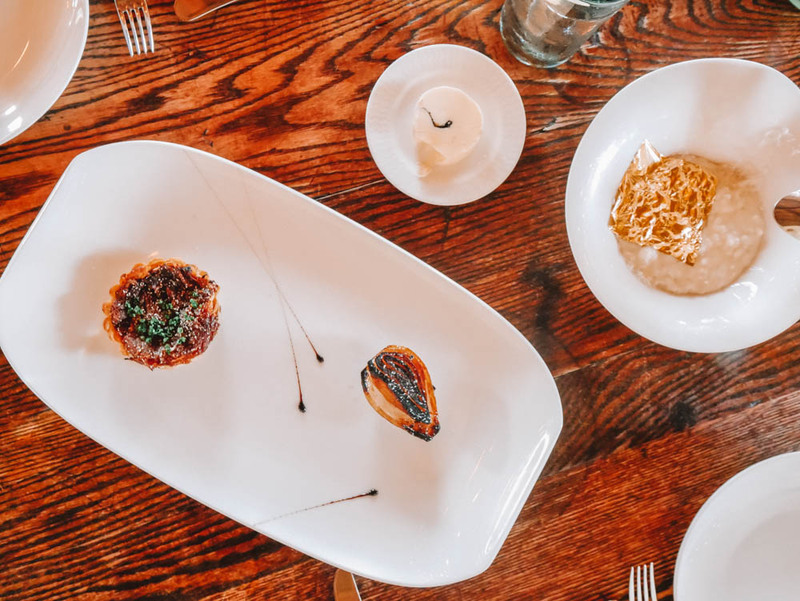 Rates the #1 Restaurant in Texas by Southern Living Magazine, James Beard Celebrated Chef Andrew Weissman’s Signature Restaurant lived up to its reputation. 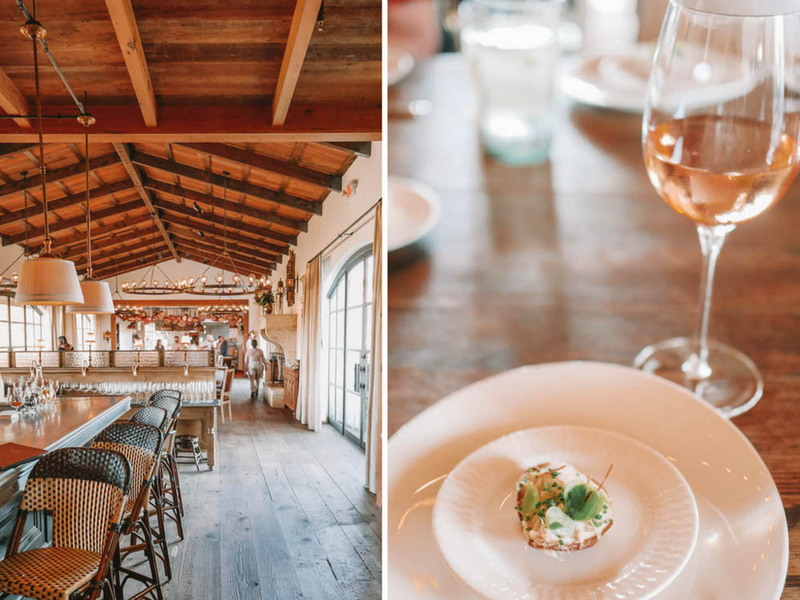 The “South of France meets South Texas” decor coupled with stunning golf course views, craft cocktails, and innovative dishes create the perfect recipe for success. 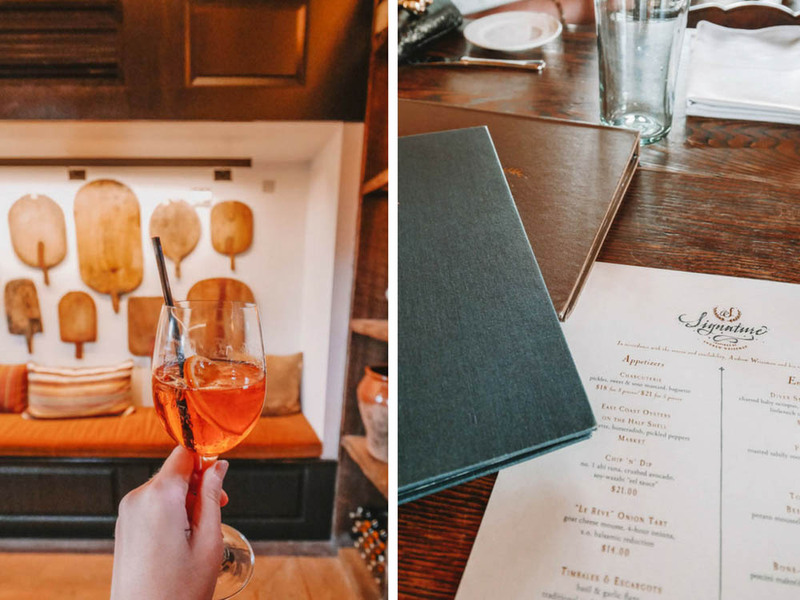 We were lucky enough to be dining at Signature on the first evening of their new summer menu, and let’s just say we did not shy away from trying all of the new dishes. 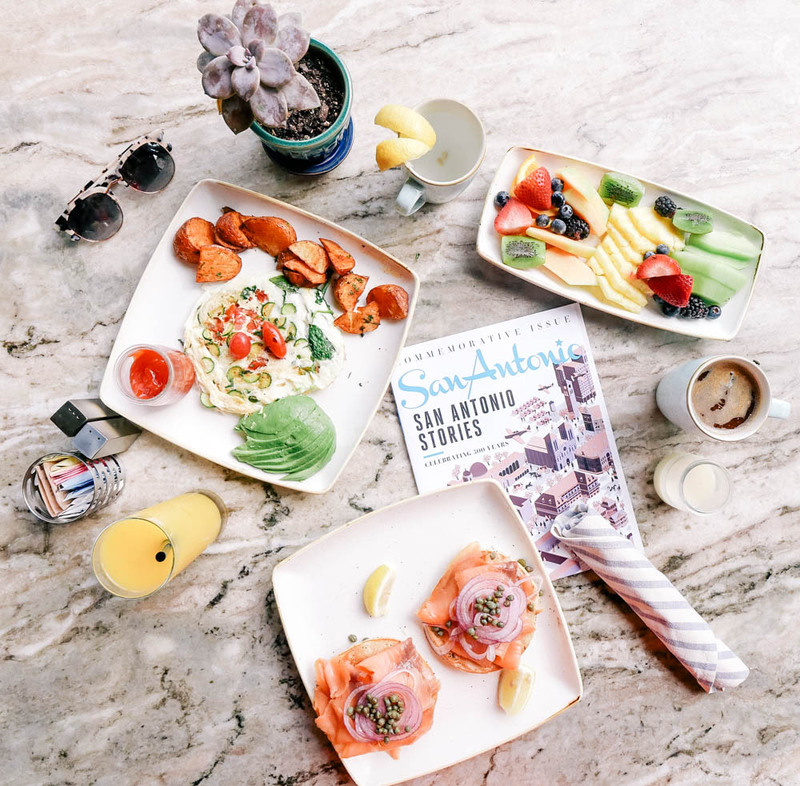 Their Sunday Brunch looks appealing enough to make the drive from Austin just for that as well. 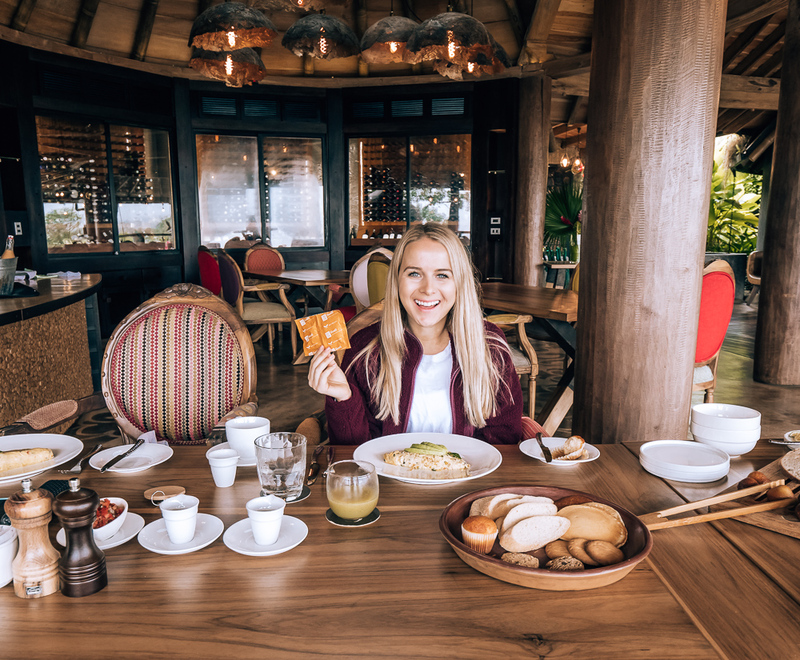 The main restaurant of the resort, Sweetfire Kitchen serves breakfast, lunch and dinner in both indoor & al fresco dining venues. I loved enjoying breakfast on the shaded outdoor patio before the heat rolled in! While I only dined here for breakfast (see my recommendations below! ), Sweetfire’s brick oven whips up delicious pizzas and other signature dishes during the afternoon and evening. Wouldn’t be a proper Texan resort without a little Tex-Mex! 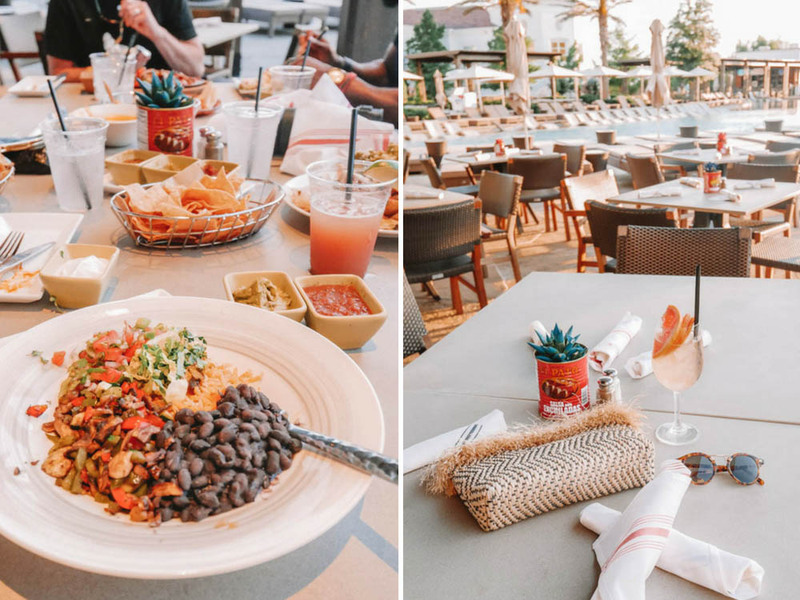 Located near the pools with stunning sunset views, Primero Cantina is an ideal choice for someone looking for a relaxed meal with some flare. I was impressed to find a dedicated vegetarian menu here alongside a full menu fit to suit all of your margarita and queso desires. 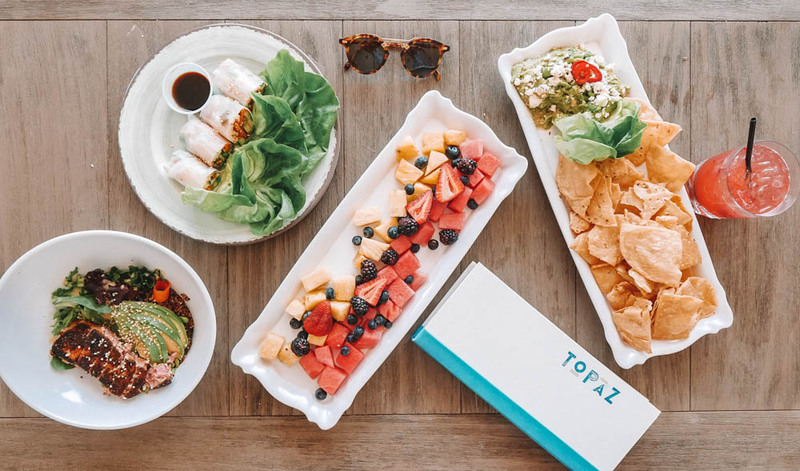 Lunch by the pool is my kind of lunch, and the menu at Topaz at the adults pool offered the perfect fresh, summer options! The main pool also has Vista Grille for all of your poolside dining needs. 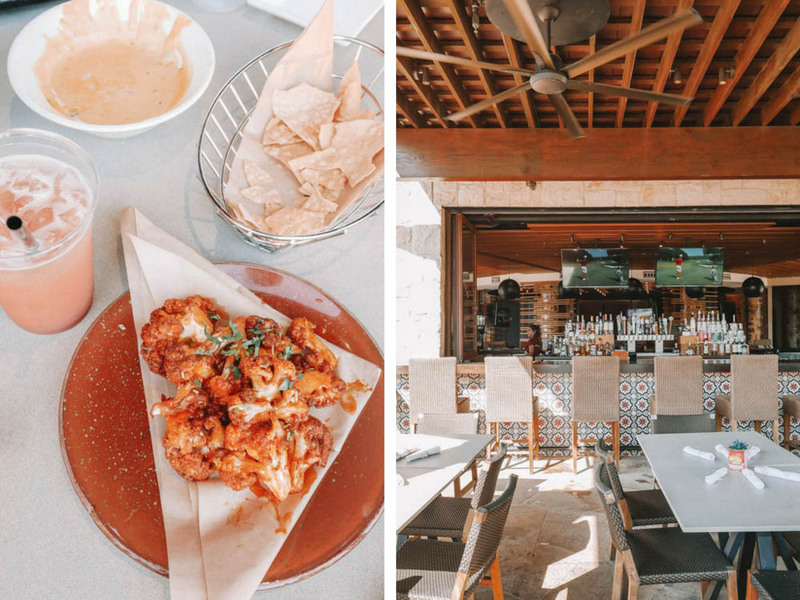 Sire is located right off La Cantera’s lobby and is the ideal place for happy hour or nightcap. 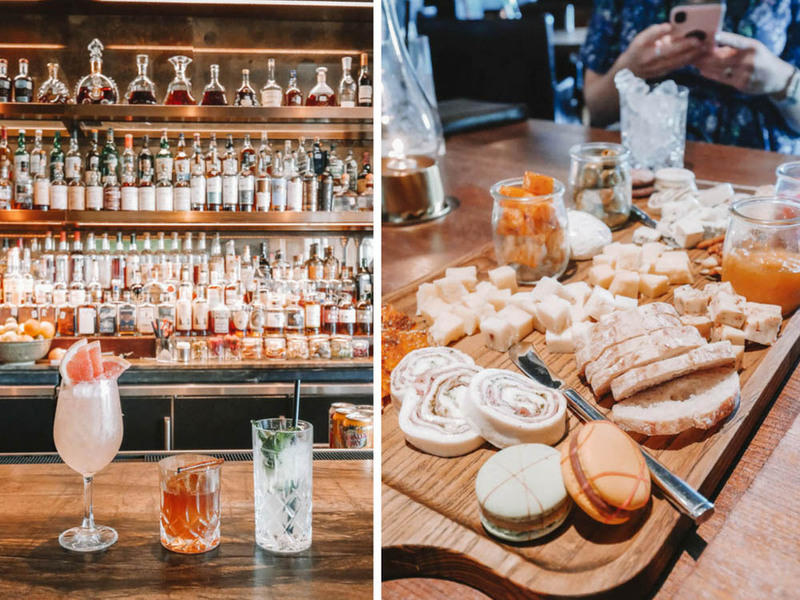 Sip on craft cocktails and snack on charcuterie & small bites from Bocado, and you’ve got yourself the perfect afternoon delight. You can also order from Sweetfire Kitchen’s menu at Sire! Happy hour specials change Sunday-Friday (available 4-8pm) with themes like $7 Tonic Tuesdays to $7 Old Fashioned Fridays to $7 Spritz Sundays. 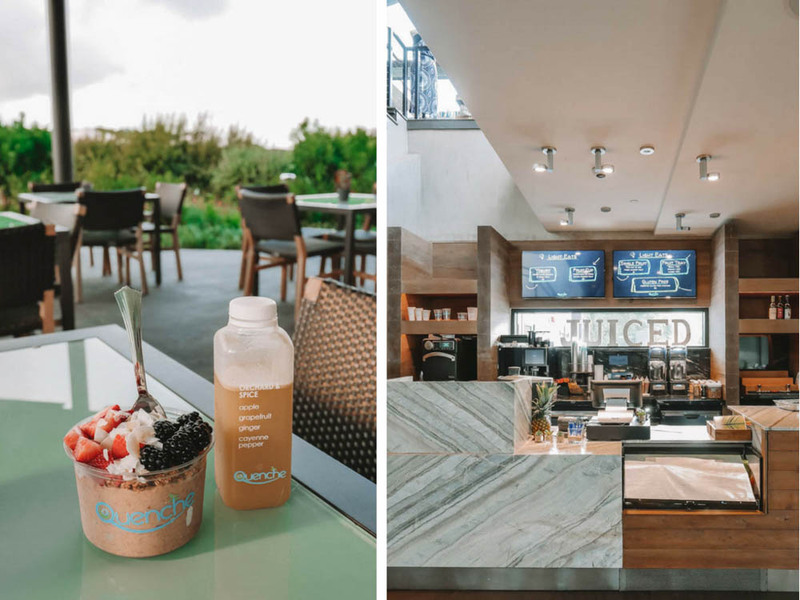 If you’re craving something healthy, head to Quenche Juicery at the spa. Anyone who knows me, know how much I love smoothie bowls… I eat one every morning when I am home! I was overjoyed to find not only smoothie bowls at Quenche, but also unique smoothie options and fresh pressed juices. 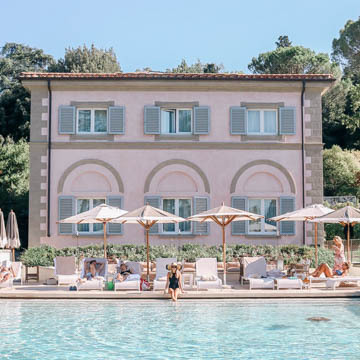 With 4 pools on property, you will never get bored! 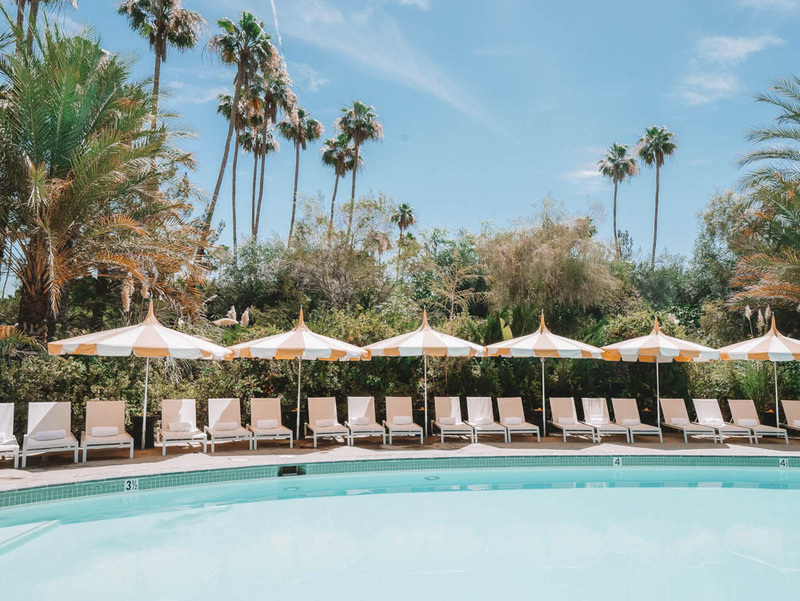 The infinity-style, adults-only pool is for guests 21+ years of age. It features stunning Hill Country views, ten poolside cabanas, and a bar & restaurant, Topaz. Vista Pool is the largest pool suitable for families and couples alike, and features Vista Grille. The Kids Pool has a splash area as well as two slides. Last but not least is the relaxing pool at Loma de Vida Spa, perfect for before or after enjoying a treatment. 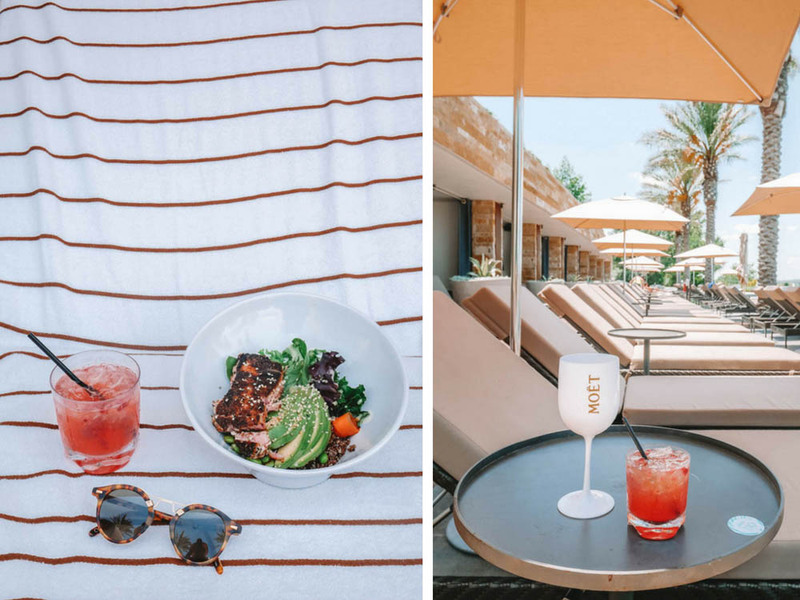 I chose to spend most of my time at the adults-only pool, and we were even lucky enough to indulge in a cabana for the day! 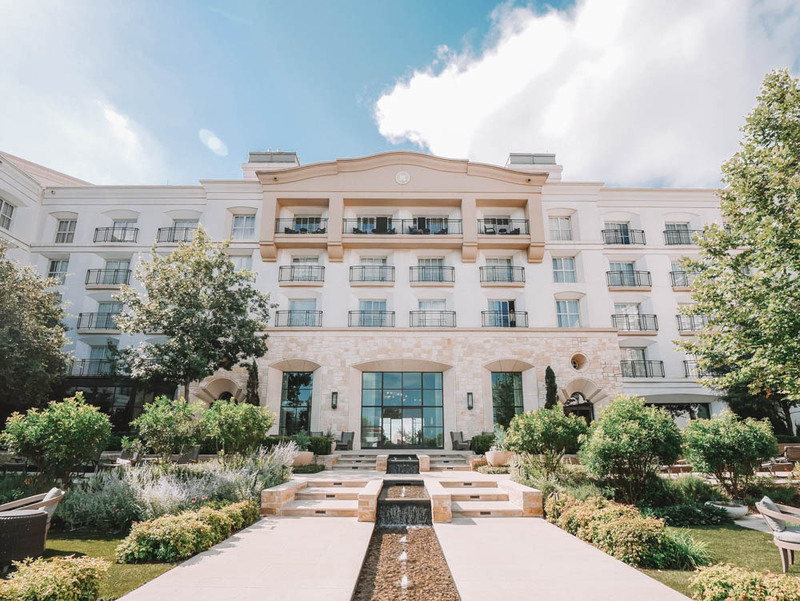 Golf enthusiasts rejoice, because La Cantera is the place for you. 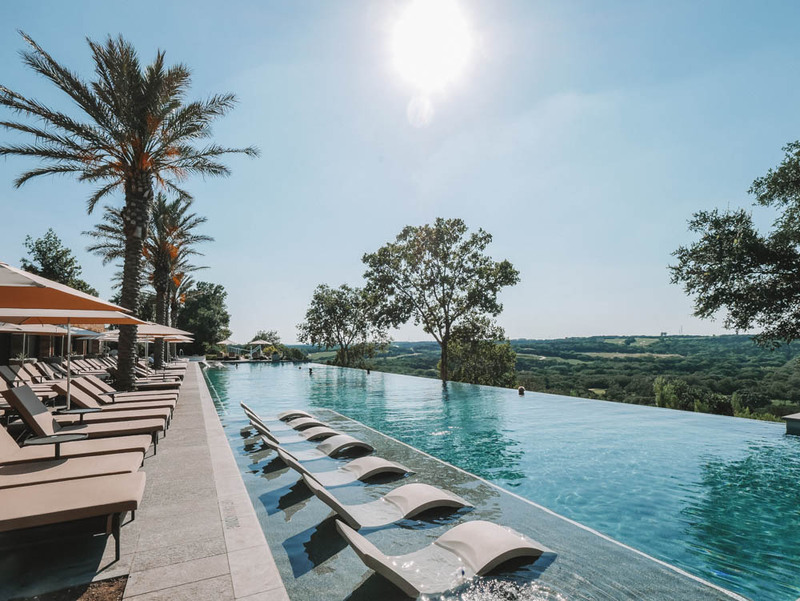 The first of the two courses is The Resort Course at La Cantera, which was designed by well-known golf course architect Jay Morrish and PGA Tour professional Tom Weiskopf and has been a PGA Tour stop for over 15 years. The second of the courses is The Palmer Course at La Cantera, which I bet you can guess was designed by the legendary Arnold Palmer. This course was voted the #8 golf course in Texas by Golf Magazine in 2016. 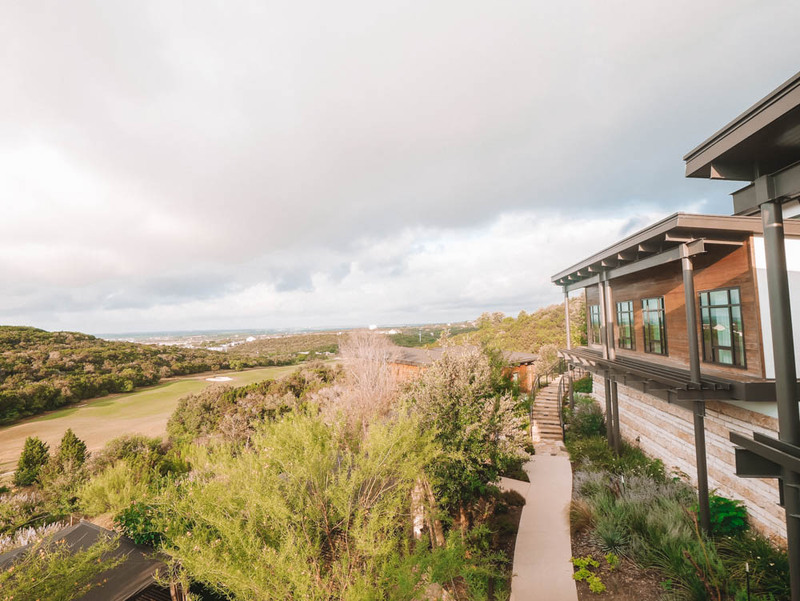 Both courses offer stunning views of the surround Texas Hill Country. 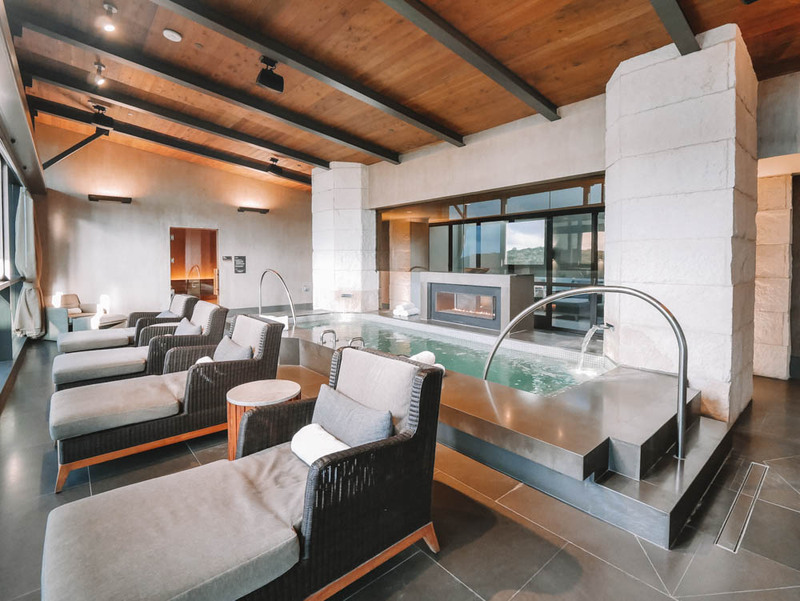 As I mentioned, the Loma de Vida Spa at La Cantera deserves a section of its own. The brand new project offers 25,000 square feet of pure luxury and relaxation. 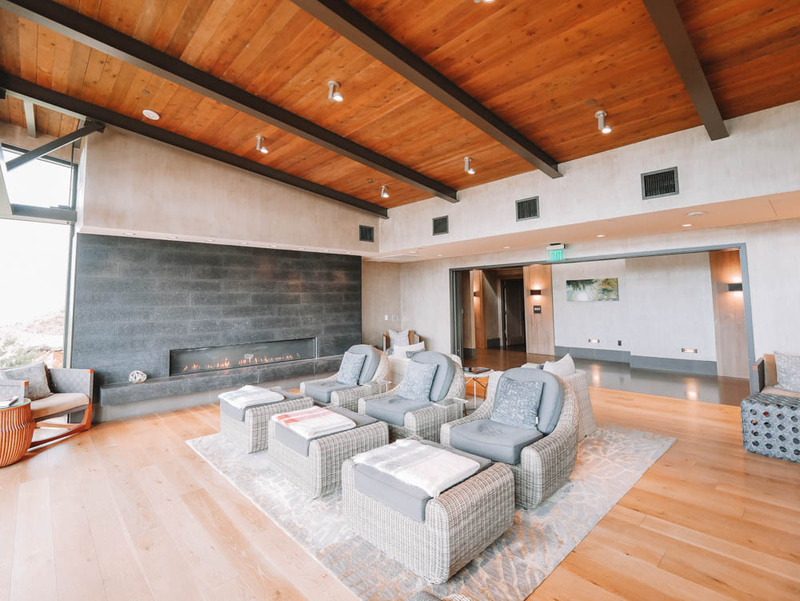 Head to one of the multiple relaxation areas, saline pool, Himalayan salt shower, sauna, or steam room before your treatment. 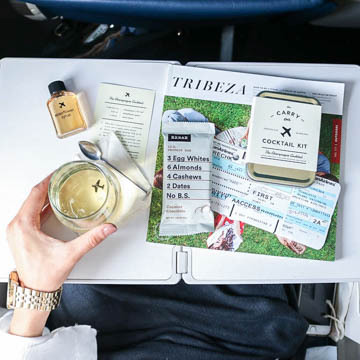 My treatment in one of the Sky Lofts was incredible – a Swedish massage with a stress relief detoxifying mud. I highly recommend this spa, even if you aren’t staying at the hotel! Wow!! This resort is absolutely stunning!